Learning to embrace your mistakes could be the fastest pathway to perfection. I’m learning powerful lessons through teaching the piano. Nobody wants to make a mistake. During our childhood, we quickly learn that mistakes are bad and wrong. At first we learn it from adults. Their attempts to guide us may well be coming from love and a desire for what’s best for us but as little beings we don’t really have the capacity to understand that. We just know something is wrong. There is something wrong with us. Pretty soon, we become our own worst critic and don’t even need the aid of outside sources to see the dangers of making mistakes. It’s normal to avoid mistakes. It’s just survival. You’re life depends on it. Your brain is there to predict the future based on past experiences so you don’t make a life-threatening mistake again. You may have squeaked through the last time a dicey situation happened and your brain is going to make sure that doesn’t happen again. The problem is that the fight or flight response doesn’t happen in the cognitive rational area of your brain. It’s a basic and instinctual response and your brain doesn’t make distinctions between non-life-threatening situations and real life-threatening situations. Fight or flight gets triggered when an envelope from the government’s revenue agency arrives and you’re behind on paying your taxes, when your mobile phone’s display lights up with your boss’s phone number and your running late for work, and when an aggressive and angry bear is bearing down on you in the woods. At a basic animal level, your brain makes no distinction between real threats and imagined threats. But, did you know you are already a living breathing example of success. No matter how awful your life looks to you or others or how full of anxiety and fear your life is, if you are on this planet, you are one of the survivors. You are someone who has made it this far and you’ll probably continue to do so. Your strategies for survival have worked. However, there is a cost to you. Your survival strategies likely stand in the way of you getting or achieving things you want for yourself and others. One top strategy is to make NO MISTAKES so you can be safe. We want things to be perfect. Why? What does it matter? Is perfection just a way to know we have made no mistakes or to fool others that we have not made any? Is perfection just a fancy way of looking good? Looking strong? Being right? Looking like a survivor? Perfection IS more than that. There is that sublime perfection we experience in the breathtaking presence of nature or art that send shivers and tingles up and down our spine, arms and legs. I’m not talking about that kind of perfection. I’m talking about survival perfection. When you need something to be perfect, that’s a warning signal. The moment something’s not perfect, we pull back. We default to our survival strategies and the opportunity to create something new, unpredictable and life-altering is lost. Instead we get the same old result. We want to look good and in doing so we destroy the opportunity for creation AND paradoxically the possibility of that sublime perfection I mentioned is lost. Teaching the piano revealed this issue to a degree I never imagined. Teaching mistakes at the piano. I spend more time than I ever expected inviting students to allow themselves to get it wrong. It’s a process that is requiring cajoling, backing off and giving space, and persistence. Piano students don’t want to make mistakes. I didn’t realise how deeply the need to avoid mistakes runs for human beings. I actually invite my pupils to practice making mistakes. I invite them to accept the mistake. Let it in. I invite them to notice that it’s usually just a tiny step away from resolution and that they ‘know’ exactly what to do with the ‘mistake’ if they would just let it happen. Okay, you played a note and you don’t think it sounded good (insert “You did something in your life you didn’t like”). What now? The best thing is to move on without stopping the flow or action. Most people won’t even notice the note you didn’t like. What they will notice is that you stopped, became tentative and careful, or reacted in some observable way. You could just keep going and ignore the note you didn’t like as if it never happened. Practice making mistakes so you can practice recovering without losing the flow and the bigger picture you are creating. If you are improvising music, you have additional choices.You can literally rewrite the past by making the unitended incident a gift. How about considering that it’s not a mistake. It’s an unintended outcome or a surprising result. What if it’s a gift rather than a mistake? Use it as an act of creation – what is it telling you? What if it’s an invitation to go somewhere new? You could embrace the note. Play it again and again and again. Have it become the idea for the music you are playing. Have it be the genesis of something you never dreamt of creating. In the end, you may discover perfection arising out of the unintended note. The surest way to have something be imperfect is to try to make it perfect. The pathway to real sublime perfection, the kind that drops your jaw and gives you shivers and tingles, is not trying to be perfect or make something perfect. It’s fine to set the intention of having something be perfect, but it’s critical to set that aside as soon as the action starts. Allow perfection to arise out of what you are doing and who you are being. You need to make perfection possible by mastering a skill – playing the piano, communicating effectively, passing or hitting the ball etc. You do need to do the work to make it possible to arise. But the skill is not enough. Who you are being is important too. Are you being critical of yourself or the situation? Do you have opinions about how things have gone and how they will go? Are you just surviving with an automatic thoughtless fight or flight reaction? Get that they have nothing to do with what’s actually happening now. Set them aside, and keep playing. Save the criticism for later. NOW is not the time for it. Did you have a demanding piano teacher who spent most of the time pointing out your mistakes. Did you leave your lessons defeated and despairing that you could never get it right? Come and make some mistakes for me. We’ll celebrate them together and see where they will take us. 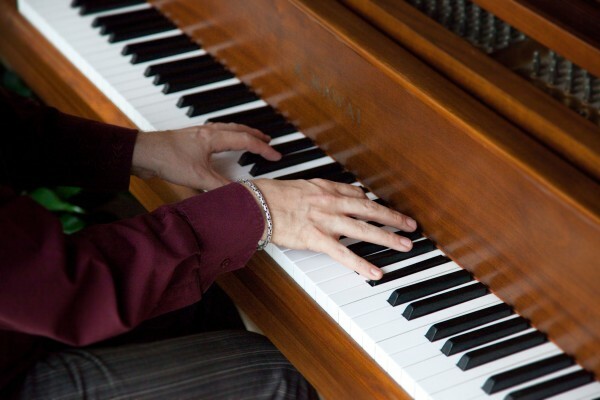 Contact me today to discuss the possibility of piano lessons.